(If you are still unsure of what the Shop Hop is and why in the world our store is decorated like a safari, you can go here for more details or call us at the store). Graphic 45 Meets Acetate with Barb! We were so fortunate to have Barb Urbassic here while on vacation! She taught this class using our favorite paper, Graphic 45. We were so fortunate to have Karen Thomas join us last weekend to teach several of her wonderful classes. Here she is with DiAnn and her newest book...and of course we will have it in the store. Call to order your copy. Students intently listening to Karen's instructions. Can you tell that we are getting ready for this summer's So Cal Shop Hop? Come join Stamping Details in this great safari adventure from August 7th-August 23rd, by coming in and buying your very own Shop Hop Passport! Click here for more information on the Shop Hop. Drove up to La Mirada for the Millsrepco HERO ARTS workshop...well worth the 2 hour drive. 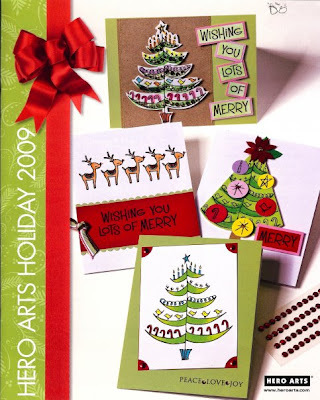 Made 10 cards and got to see all the new holiday stamps. They let me bring home a copy of the new catalog. Are you ready to see all the WONDERFUL Stamps? It will be in the front for pre-ordering. Copyright © 2009-2013 Stamping Details. All rights reserved.